Back pain is one of the worst ailments out there and can cause severe pain as well as a vast range of problems ranging from limited mobility to accidents. However it is unfortunately something that many of us have to contend with and especially once we begin to reach older age and following the wear and tear that every day life subjects it to. Thus it is important to do everything in our power to make sure that we can keep our backs healthy and well maintained and prevent them from deteriorating. There are many ways to do this and many changes that we can make to our every day routine from altering our posture to changing the way that we lift heavy objects. However one thing that many of us forget is the way that we sleep – and the amount of support you get at this point is going to make a big difference to your overall health. Meanwhile it is also possible by changing the position that you sleep in to combat many different health problems, pains and elements specifically. 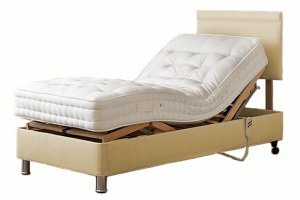 With adjustable beds it is possible to alter the sleeping position precisely as you wish and normally this means you can incline or recline the head and legs. This in most cases means two main points of articulation – allowing you to bring your head upright and lower your legs or return to a completely flat position (though some adjustable beds will have more points of articulation and this of course has even greater benefits to your health potentially).